On a regular day, I don’t wear makeup, I’m lucky if I even remember to moisturize. (Cardinal beauty sin, I know.) Every now and again I get myself into a beauty habit, it usually lasts until I realize I can squeeze out an extra ten minutes of sleep if I stop primping in the mirror. One year, I felt particularly pale and felt the need to add a bit of color with bronzer. Another year I grew quite fond of the eye-widening powers of white eyeliner. Little known fact, black eyeliner on the inner rim of the bottom lid accentuates almond shaped eyes. Last year, I rekindled a love affair with Estée Lauder’s Sumptuous Extreme mascara. 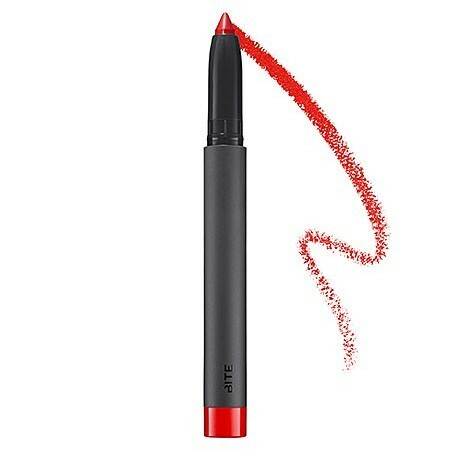 These days I’m in love with a tube of matte red lipstick. My new lacquer of choice is “Rich Red” from Max Studio, similar here. This entry was posted in Beauty, Make-up, Must Have and tagged Beauty, Lips, Perfect Pout, Pout, Red Lipstick, The Beauty of on 01.01.2014 by Chanelle Sicard.